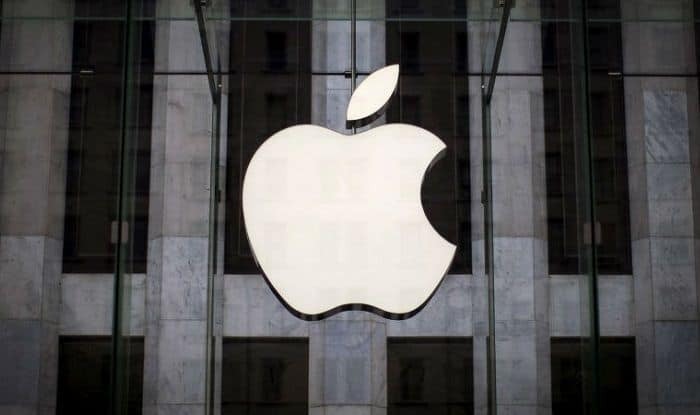 As it has been announced that Apple shares rose to $207.05 today. 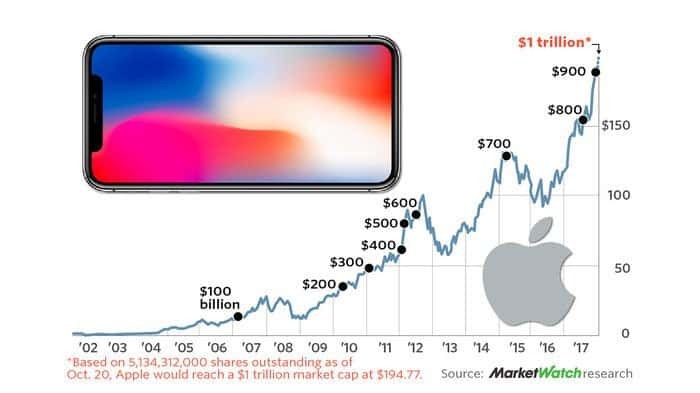 This all but cements Apple’s place in history as the first US company to achieve a market value sporting a never before seen thirteen digits. Now, to help put this into a little better perspective, the US gross domestic product is slightly more than $18.5 trillion. Founded in a small garage in 1976, up until the last decade or so Apple’s success has been primarily reliant on the home computer consumers market. However, it would appear that their 2007 breakthrough and development of the iPhone is essentially what gave the company its much-needed push over the top. Not only had Apple created a market for the iPhone; it also heralded the arrival of other avenues of income as well, such as the App Store, Apple Music, Icloud and Apple Pay. Each one of these profit streams carved out their own niche on the back of the iPhone, adding to an already rapidly growing consumer market. However, it is the first to do so that does not involve the processes of extracting, refining or selling of oil-related products. The honor of being the first company in the world to hit $1 trillion is awarded to PetroChina, a property of the state-owned China National Petroleum Corporation. For a very brief time in 2007, PetroChina moved passed the $1 trillion dollar mark. However, soon after oil prices bottomed out and PetroChina received a totally different accolade; that of having the biggest stock collapse in history. It is very widely known that today is not the only time Apple has succeeded in surpassing oil companies by way of market value. The first being when Apple surged past ExxonMobil back in 2011. After falling back and surging forward a couple of times, Apple finally left ExxonMobil in its dust n 2013. When last reviewed ExxonMobil market value currently hovers at around $330 billion; which is a mere one-third the amount of Apples current estimated market value. It is pretty much a given that Apple will continue to grow and thrive. Almost every household in the world uses some sort of technology. At least one form is sure to be an Apple product. With each new advancement, Apple continues to plant its footing even more securely in the technology niche; by way of advancing and heralding the creation of new and exciting products. With this constant development, it would only follow that their market value will increase. It would be no surprise to see them topple the fourteen digit mark sooner rather than later. Tracy and her 15-year-old furry baby reside in a very small country town. The slower pace and peace of the town she lives in feeds into her creative side. She finds great enjoyment in putting words to paper as she watches an idea or concept develop and come to life. When not researching or writing for her clients, she can usually be found exploring her love of mixed media art, tending her garden, or taking long walks with her furry baby.